Movement – I am still waiting on the movement. In looking back at my pregnancy updates from my first pregnancy, I started to feel movement around eighteen weeks. We still have plenty of time. I’m not going to lie, I am sort of looking forward to the little elbow nudges against my lower right rib cage. It’s nice to know someone is in there! 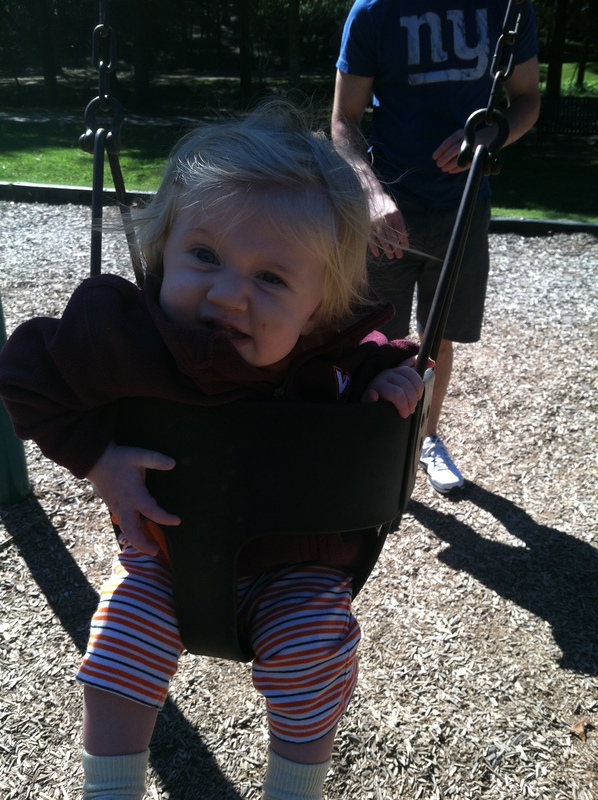 Sleep – My daughter is teething AGAIN. I swear all of her teeth will be in right around the time baby number two is born. That means, about the time that we start sleeping through the night again, our sleep will be completely disrupted with the new addition. I have had a few people tell me this week that I will spend the first ten years of my children’s lives trying to get them go to sleep only to spend the next ten years trying to wake them up. At this point, I prefer the latter. 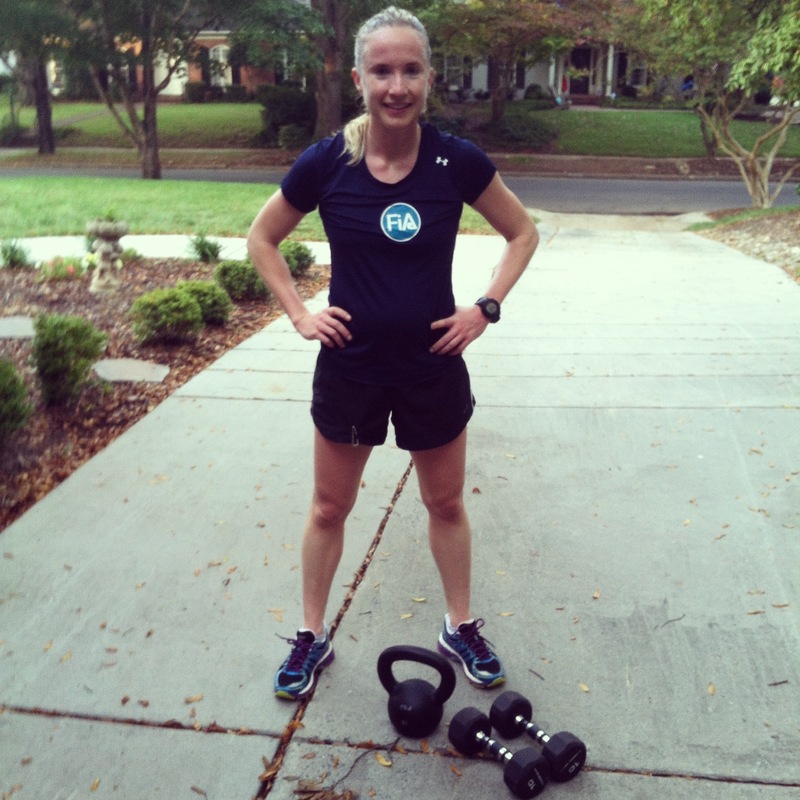 What I miss – Keeping up in workouts! This is the first week during my second trimester that I have started to feel pregnant while working out. Definitely not a bad thing, but I can tell that the days of me running sub eight miles are dwindling down (at least for a few months). Lucky for my riders, this hasn’t hit me on the bike! At some point, I will start enjoying more cardio workouts in the saddle. Best Moments this Week – Spending quality family time with both my husband and daughter individually and also as a group. I stopped by my daughter’s daycare on Friday to see them off on a buggy ride. 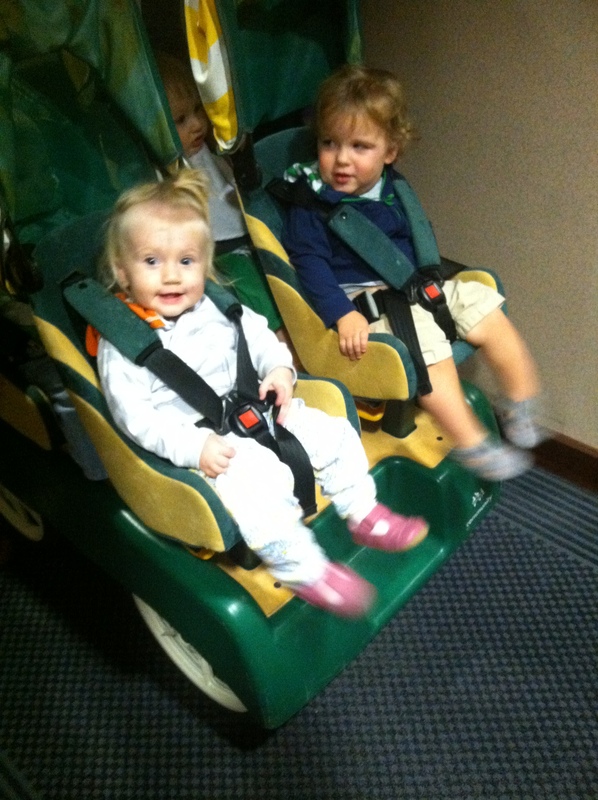 I die when I see how cute these kids look all strapped in and ready to go out for a walk. Six to a push cart. Dare I say that someone on the street thought they were all mine? I posted about my weekend trip to the UNC game with my husband (in which my Hokies also pulled off a win). 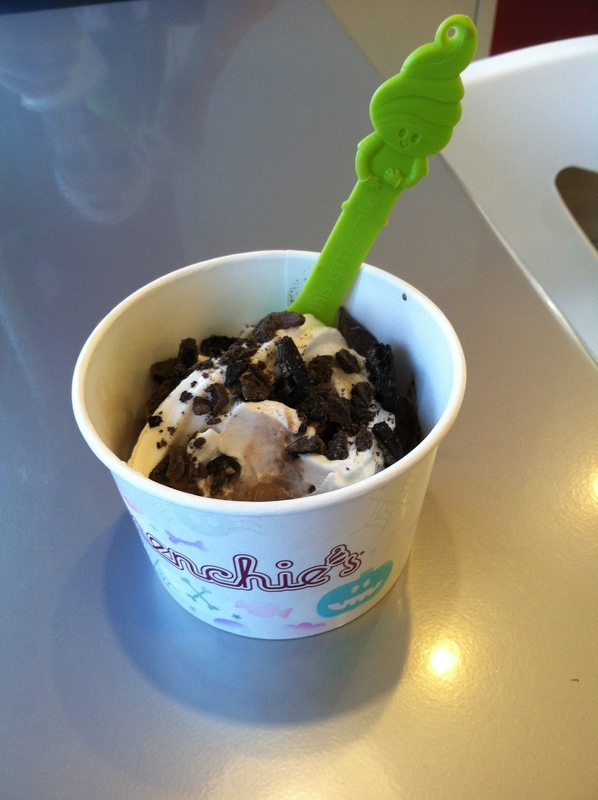 We finished off Sunday with a great walk to the park, excellent time on the swings and Sunday ice cream at Menchie’s. Looking forward to – I don’t keep up with many people from high school, but one of the few people that I have kept up with is getting married this weekend! I have mentioned Breeze in prior posts. Not only did we meet in elementary school, but we reunited in Charlotte and lived together over a few years. I never thought that either of us would settle down, but I must say that we outdid ourselves. Her fiance is incredible. I can’t imagine her with anyone else. Attire is formal, and the event will be held at the same venue that my husband and I got married at. Who wouldn’t get excited about getting all dressed up and reliving the best night of your life? 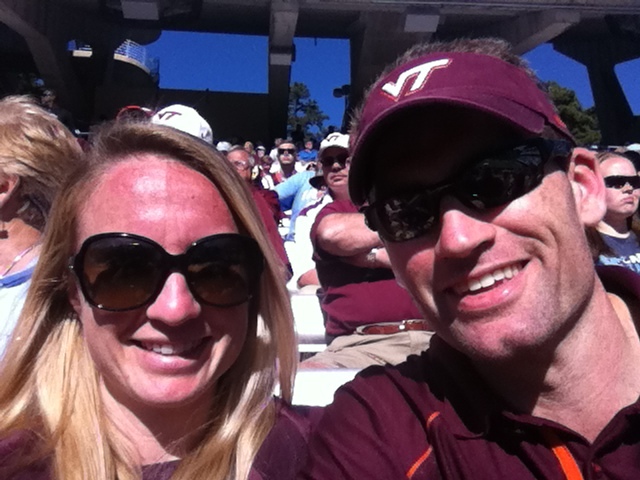 Her fiancé is also a Hokie fan (who wouldn’t love that)! Cravings – Still craving more salty/cheesy food. Weird. Totally not like me. 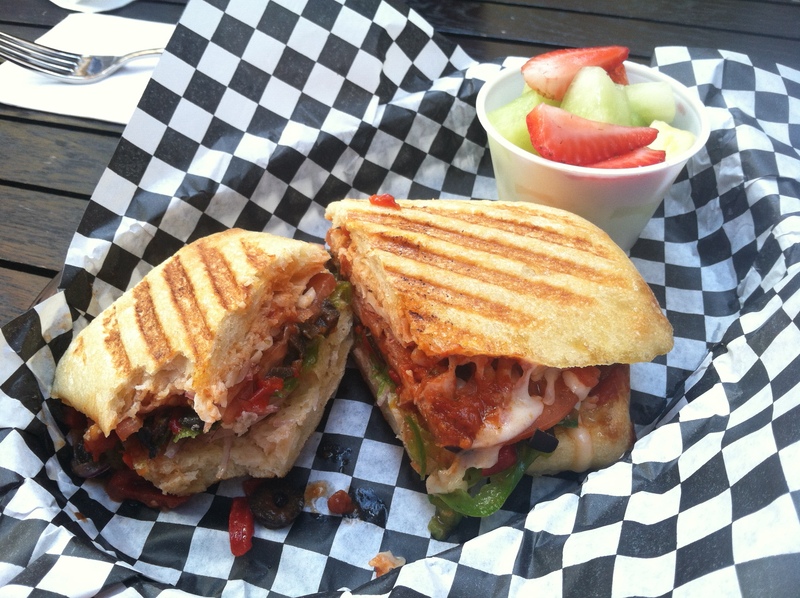 Remember my veggie pizza panini from earlier in the week? Symptoms – I’m pretty sure I’m fighting off a cold, which has nothing to do with being pregnant. If it isn’t a cold, I have allergies due to the change in weather. Either way, those symptoms are outweighing any current pregnancy related symptom. This entry was posted in food, Staying fit, workout and tagged active pregnancy, Week 15 pregnancy on October 6, 2014 by flyjenduf.